We wish you an Happy New Year! We are delighted to announce our next event : Jan Noutsos, International Travel Teacher and Lama Ole's student, is coming in January to give lectures and guided meditations. Noutsos met Lama Ole Nydahl in Athens in 1997. He took Buddhist refuge there. Since then he co-runs an international retreat center ‘Karma Berchen Ling’ in South Greece. 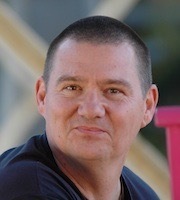 Noutsos began teaching Buddhism in 2005. He lives in Athens, Greece.